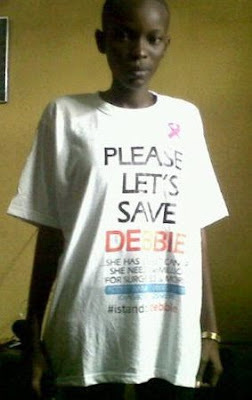 Sad News;Cancer patient Debbie Osarere Idiagbonya passes on after battling for years.. I say battling cos she FOUGHT! many years after she gained media acclaim as friends and family raised money for her brast Cancer treatment she was able to travel to the US and it seemed like she beat it till it progressed again to other parts of her body,her liver and then finally her bones. Media Influencer and friend Michelle AKA Gossipgirliee who also travelled to be with her in the US and had been updating fans of her development is totally devastated as her tweets show.. This made me so sad..seeing how she fought to beat this and how heartbroken the people who worked hard and rallied round her to see her survive would be right now..its hard to see her pass after it all.